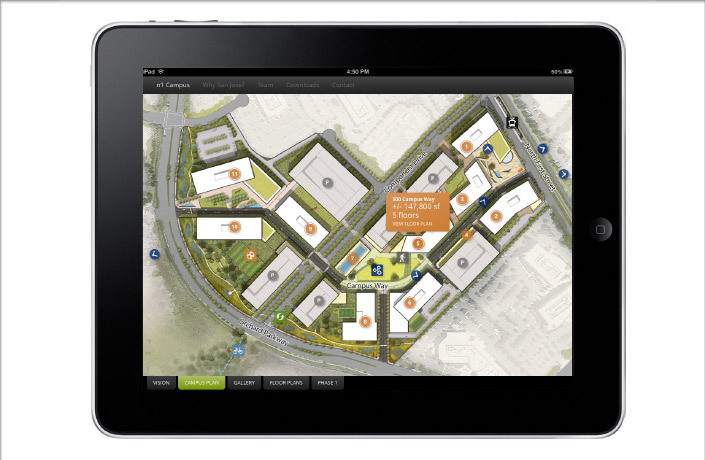 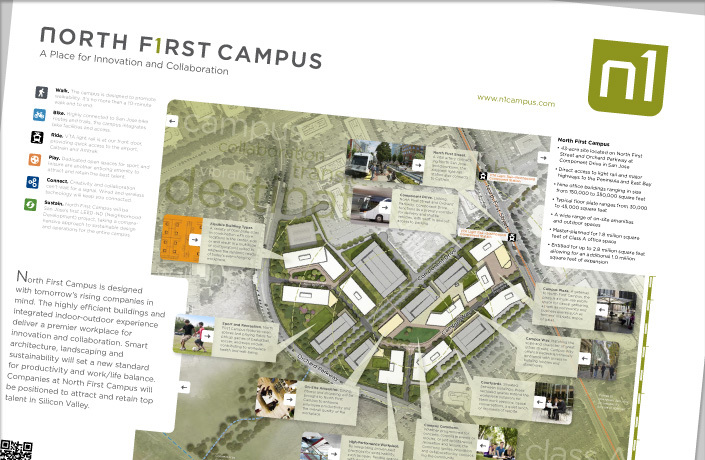 L Studio developed a poster to communicate the positioning strategy, a comprehensive marketing booklet to tell the story of the campus, and a website with a complementary iPad app to communicate the vision and leasing opportunities for this exciting new campus that fosters innovation and collaboration for tomorrow’s rising companies. 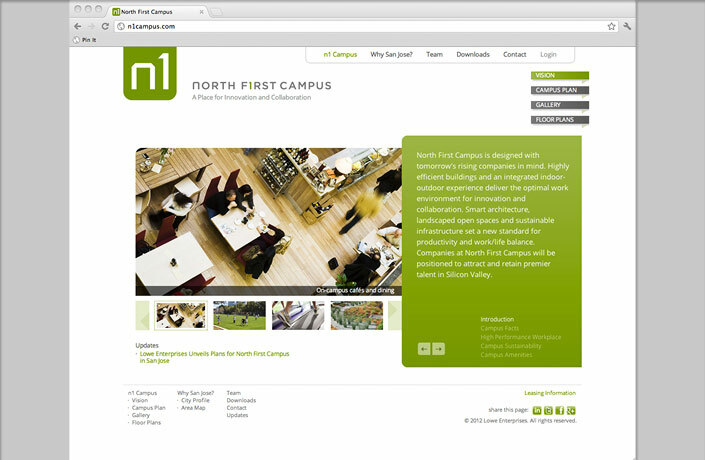 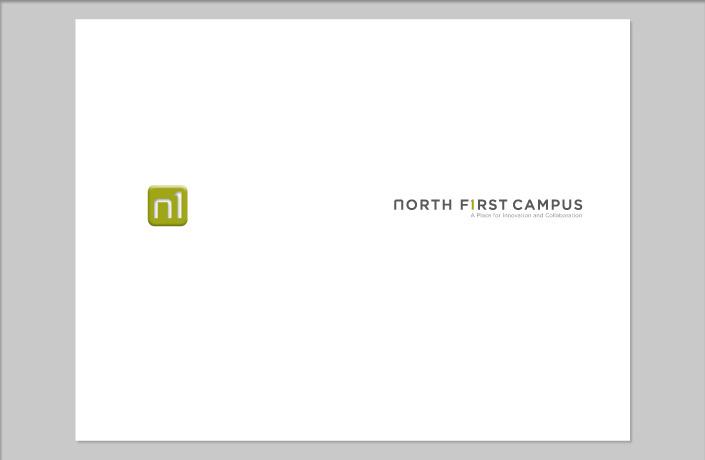 The North First Campus is tailored to companies that seek to attract and retain talent by offering a dynamic campus environment with on-site amenities, ease of access, transit, and a vibrant urban location close to good schools and diverse housing stock. 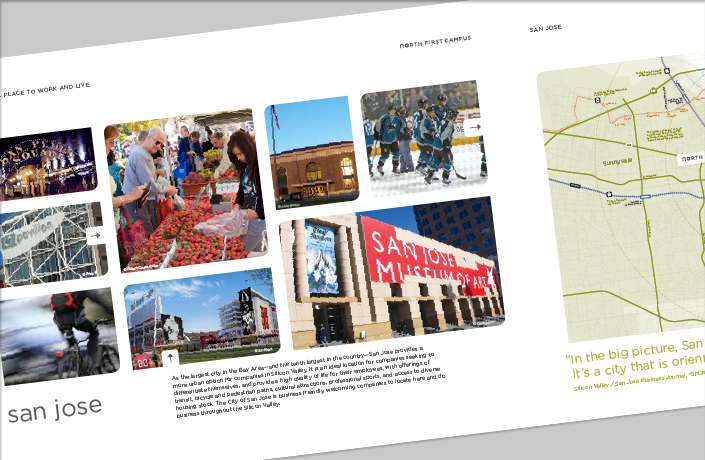 Located along the North First light rail line, the campus fits into the city of San Jose’s long term plan for transit-oriented growth. 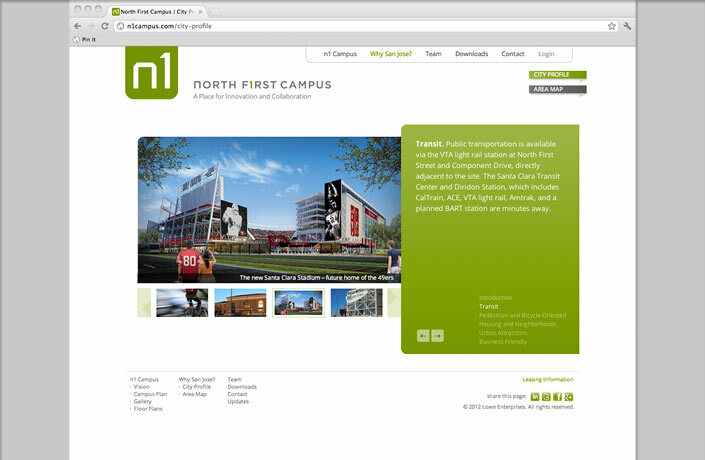 Instead of reaching for a tentative link to prestigious locations in Silicon Valley, communications stressed the importance of North First Campus’ connection to central San Jose and the existing community at the heart of the Bay Area’s largest city as well as the innovative campus plan and design. 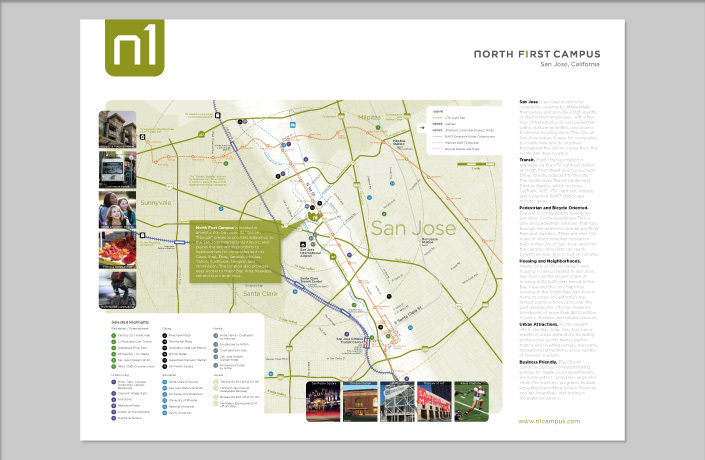 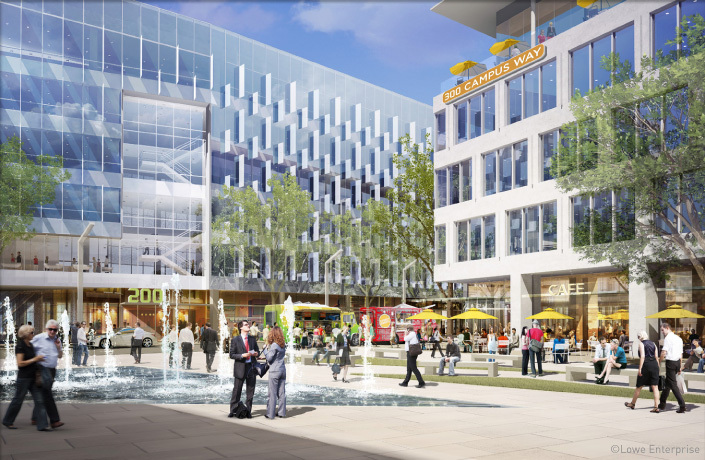 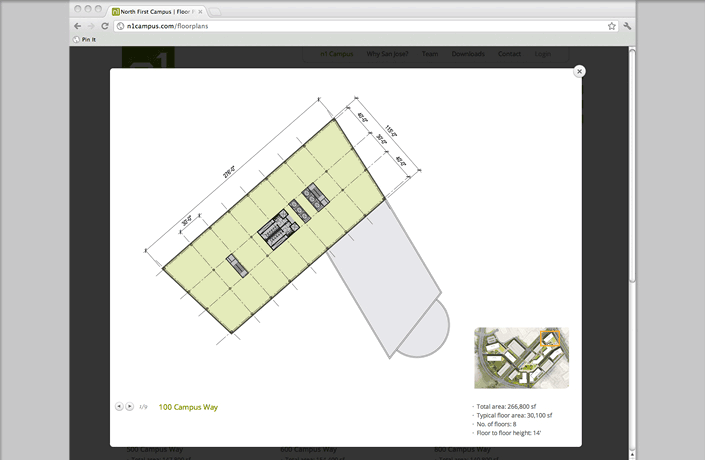 This initial communications peice allowed brokers to walk through the master plan for the site, as well as to locate North First Campus within the context of San Jose. 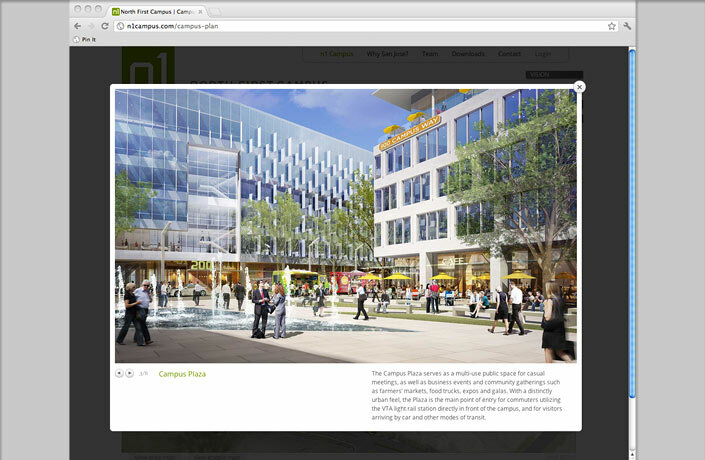 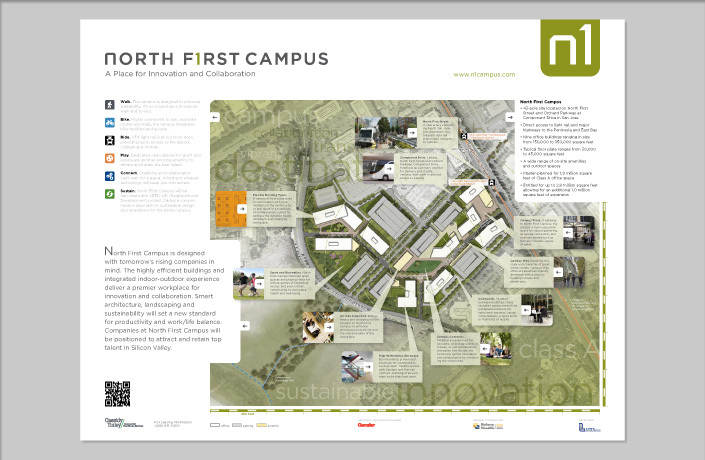 This book outlined the vision for the Gensler-designed North First Campus. 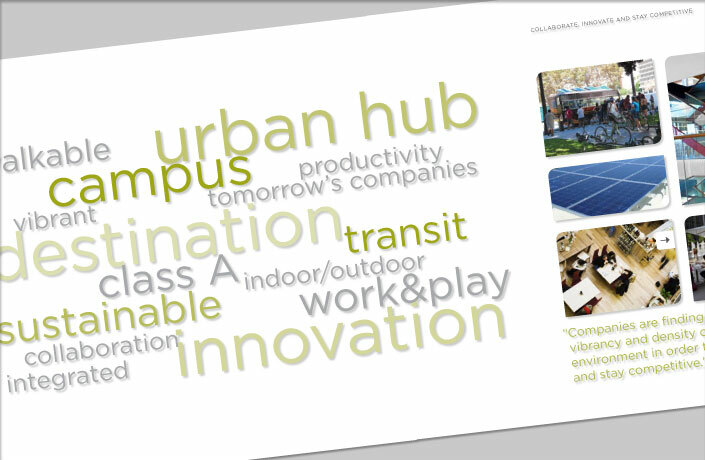 The book describes the perfect environment for today’s talent, with on-site amenities, flexibility and ease of access. 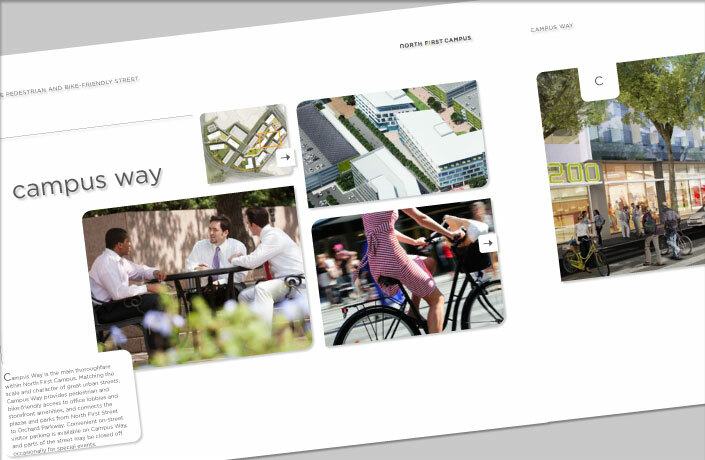 The website was built to house brochureware information from the idea book, as well as interactive site maps and downloadable cut sheets through a content management system. 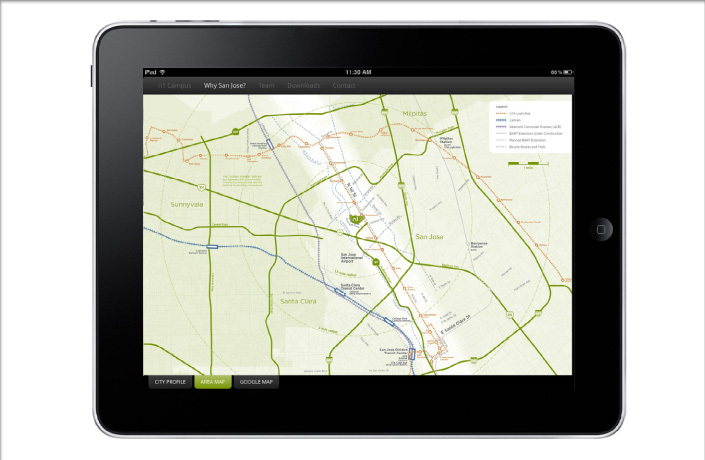 The site can be updated in-house by the brokerage team. 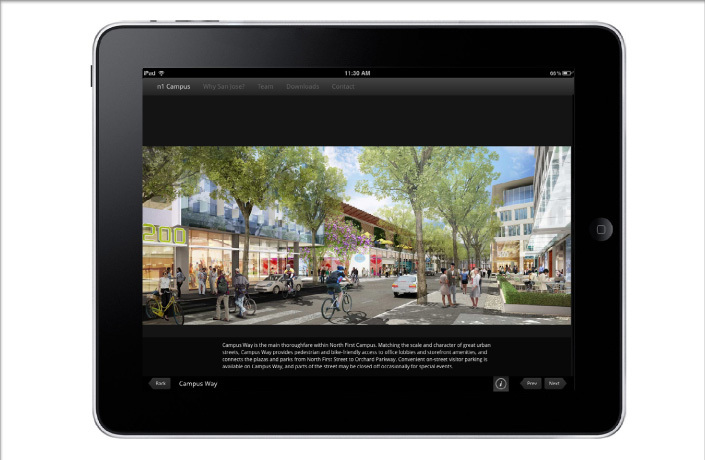 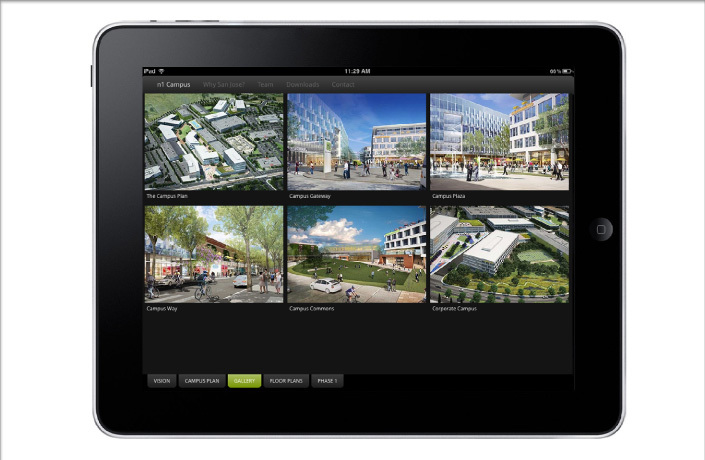 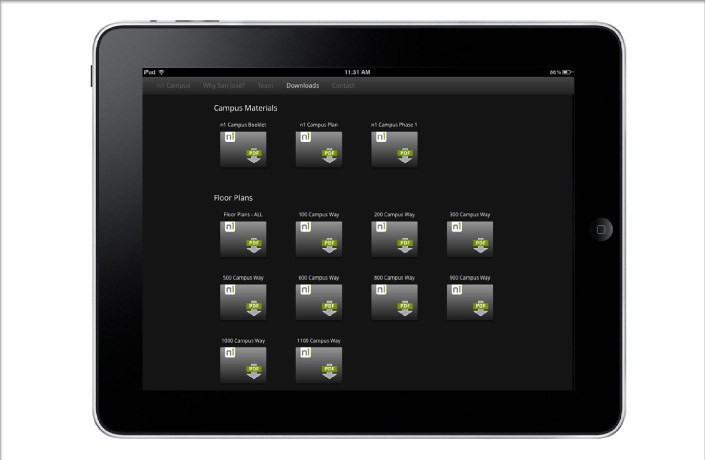 The n1 app can be downloaded for free and runs on ipad with or without internet connection to introduce the brokerage community to the newest commercial real estate opportunity in San Jose.